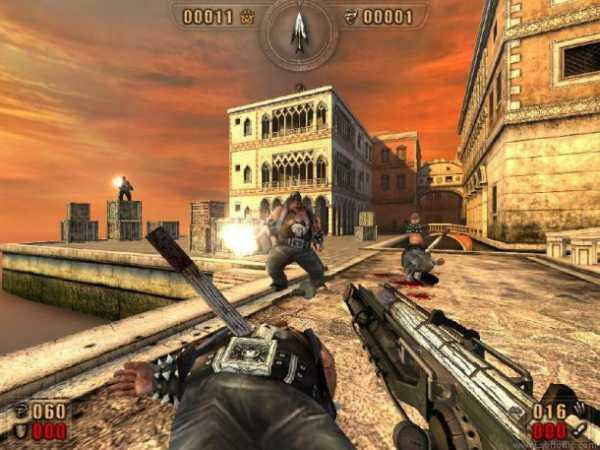 Painkiller is a first person shooter that features demons as the main enemy and graveyards and other gothic themed areas as levels. The real draw to Painkiller the crazy array of weapons. One of the first weapons you get is a stake launcher that can pin enemies to walls. Other guns shoot freezing ice or electricity. Realism is not high on the list for Painkiller, and thats a good thing. Painkiller is a great first person shooter because it is all about blasting hellspawn with insane weapons, a welcome change from all the military shooters nowadays. Painkiller leads you on a pretty simple story of a man trying to save his wife from hell, and it is really just an excuse for blasting demons. The graphics are getting pretty old now, but they still have create a lot of atmosphere. Painkiller is a blast if you want to blow up some demons, so give it a try if that sounds like your thing.